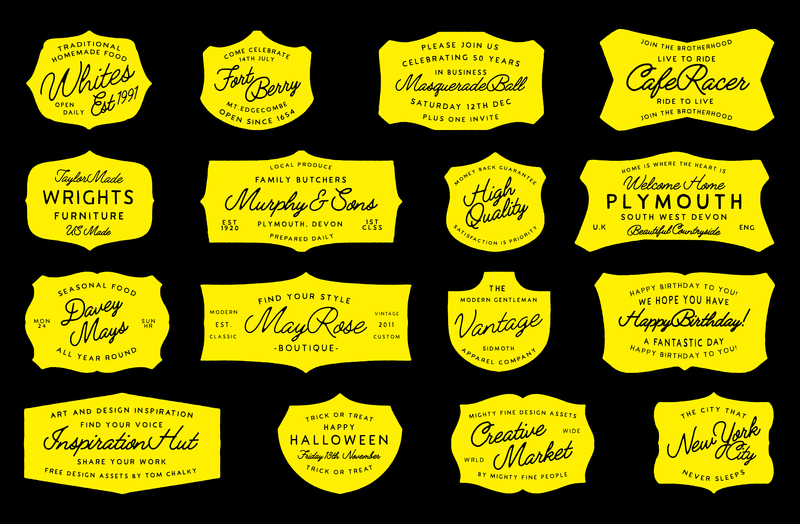 UPDATE – Now Includes 16 Vintage Logo Templates that work beautifully with the Jimmy Script family. Click here to see them all in detail! I’m pleased to show you my latest font family,Jimmy. It includes a handcrafted script font (Light, Regular, and Bold weights included!) and a perfectly complementing all capitals Sans (Regular and Bold weights included!). The styles of both Jimmy Script and Jimmy Sans were inspired by the modern vintage trend that is sweeping the design industry. Whilst the Script and Sans can be used effectively as separate fonts, they truly work their magic when combined!